Product categories of Silicone RFID Wristbands, we are specialized manufacturers from China, NFC Silicone Wristband, RFID Bracelet suppliers/factory, wholesale high-quality products of NFC Bracelet R & D and manufacturing, we have the perfect after-sales service and technical support. Look forward to your cooperation! 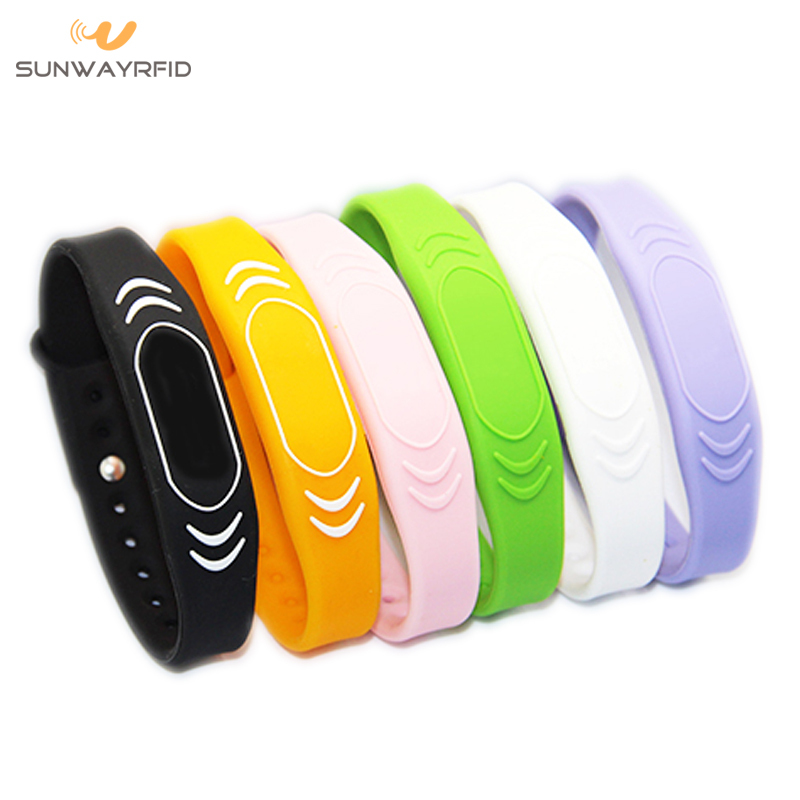 SunwayRFID with 8 years experience in RFID Wristbands / NFC Bracelet manufacturing, provides all kinds silicone rfid wristband for you. Colorful Silicone RFID Wristbands, adjustable silicone rfid wristband and close type Silicone RFID Wristbands, I believe one of them can meet your need. There is no MOQ limited. No matter 10pcs or 50pcs. 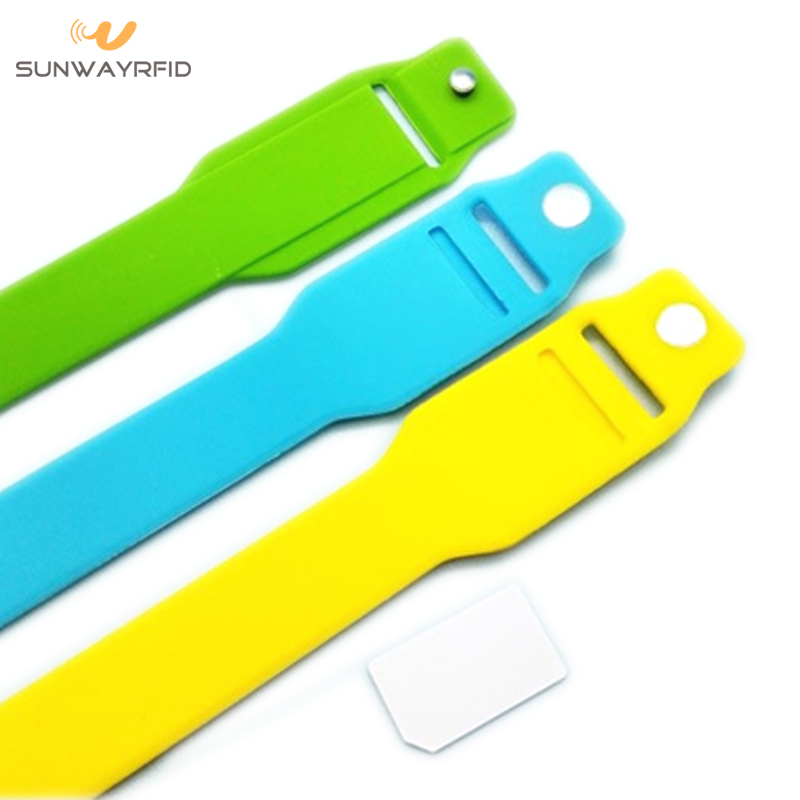 We always provide customized silicone rfid wristbands / nfc bracelet, the printing, the size, the shape and the material! Send us your logo, we can print it and make your rfid wristbands / nfc bracelet in perfect. These Silicone RFID wristband features an ANY RFID chip of usable space and can be made read-only. Ideal for making your next event or party a memorable experience! Also widely used on campuses, amusement parks, buses, access control areas, concerts, and tickets and so on. Silicone RFID wristbands can be embedded 125Khz chips like Tk4100, EM4200, T5577, EME44305 and Hitag etc. RFID Bracelet can be embedded 13.56MHZ chips like Ntag213, NTAG215, NTAG216, Mifare Classic, Desfire EV2/EV2, Plus X, Plus SE, ICODE, Ultralight, TI 2084, Topaz512, and F08 etc. RFID bracelet can be embedded 860MHZ-960MHZ chips like Alien H3, Alien H4, U-Code Gen2 and Impinj M4/M5 etc.